We have special offers available on tickets for The 39 Steps. Hitchcock's 1935 movie is a masterpiece of sustained adventure, as the hero - framed for murder - becomes both pursuer and prey for a shadowy international conspiracy. Classic scenes of The 39 Steps - at the Criterion - include vertiginous peril on the Forth Bridge, a frantic biplane pursuit, and the grandstand conclusion in a packed London Palladium. In other words, it's exactly the sort of story that could never be attempted by a fringe theatre company - a fact which forms the central joke of this satisfyingly inventive production. 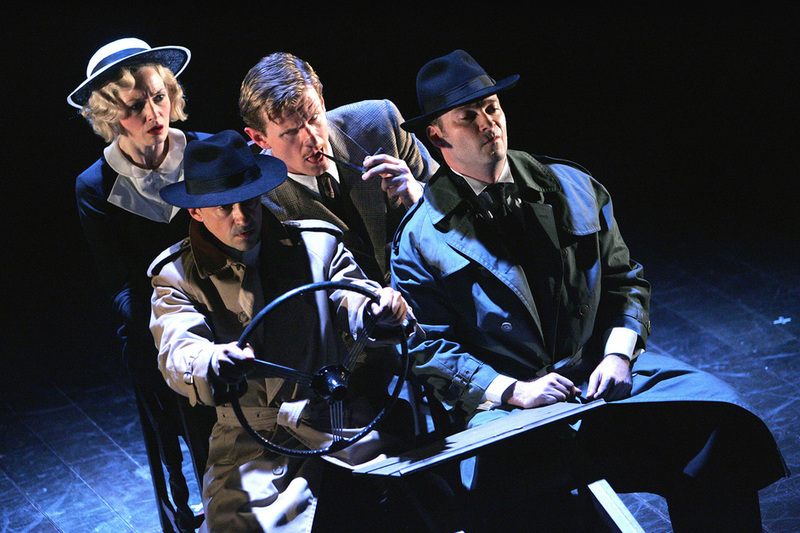 Ticket deals for The 39 Steps are now available. Four actors play 150 different characters, while a small selection of props and some clever lighting effects become the Scottish moors, the West End, and dozens of other locations across the country. Richard Hannay is a ridiculously stiff-upper-lipped hero, a calm spot in the centre of the frantic action. Making a virtue out of silliness, this will be enjoyed by anyone who loves Hitchcock, or takes pleasure in the endless possibilities of the theatre. What are the best dining options near The 39 Steps London? The 39 Steps gyms, sporting activities, health & beauty and fitness. The best pubs near London The 39 Steps. The 39 Steps clubs, bars, cabaret nights, casinos and interesting nightlife. Where to have your meeting, conference, exhibition, private dining or training course near The 39 Steps. From cheap budget hotels to luxury 5 star suites see our special offers for Criterion Theatre hotels, including Every Hotel Piccadilly from 91% off.